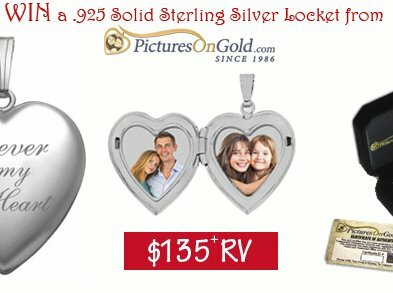 PicturesOnGold.com locket worth $135.00 will be given away. Use the exclusive coupon code for 10% off your order! Just use “PC valentine10” at checkout on PicturesOnGold.com!